The first days were spend in the NodMakerSpace, a young start-up hub in a former cotton factory, which provided an inspiring environment for generating social enterprise ideas. The design thinking process includes fast prototyping in order to test ideas with potential clients. The first intensive study programme on ‘Social Entrepreneurship for Local Change’ took place in Bucharest from May 13.-20., 2016. 37 students, 6 tutors and 12 staff members attended the 10 days event. The programme was hosted by the Bucharest University of Economic Studies (ASE) in cooperation with the local NGO ‘The Creative Room’ (Odaia Creativă). 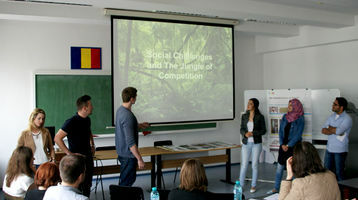 The objective was to develop business ideas that address social and environmental needs. 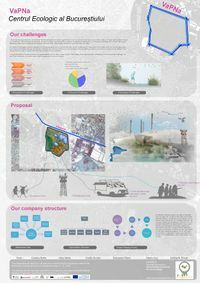 The participants identified those needs by actively exploring the local urban landscape. 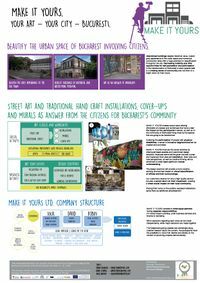 The urban landscape of Bucharest is a fascinating place for a case study of social entrepreneurship. This workshop took international staff and students not only to the periphery of Europe, but also to the periphery of Bucharest, which is largely unknown even to the locals. This edge situation was selected on purpose in order to make the participants engage with a territory that has both its good and its bad. Positive aspects were, for example, the huge natural area of the so-called Văcăreşti Lake as well as the general density and social mix of the neighbourhoods. However, challenging aspects were evident as well. 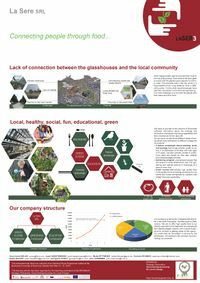 These include congestion, poor housing quality and a lack of community facilities. 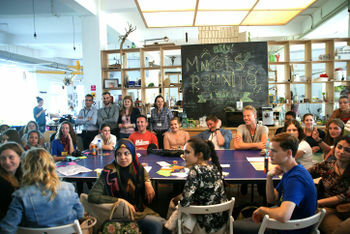 During the first days the workshop was hosted by the NodMakerspace, which is a start-up hub in a former cotton factory. The area of observation focused on the territory around this hub (Timpuri Noi) in the southeastern periphery of the city. The group spent two days with ‘urban safaris’ during which the local territory was intensively observed. 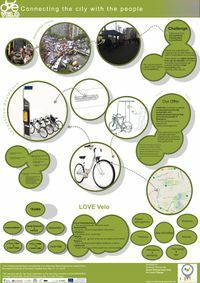 Seven thematic teams formed on this basis, each working on one of the following topics: regeneration of derelict buildings, sustainable management of the Văcăreşti Lake, community life, upcycling, sustainable mobility, and urban agriculture. The group composition was not only international but also interdisciplinary. Staff and students had backgrounds in economy, management, finance, landscape architecture, urban planning, agriculture, international development and sustainability studies. Next to the Romanian participant, the countries involved were Estonia, the Netherlands and Germany. Furthermore, there were international students among the partner university participants, which extended the scope of cultural diversity to Mexico, Australia, France, India, China and the Middle East. This diversity of viewpoints on the local situation was highly appreciated by everyone involved. 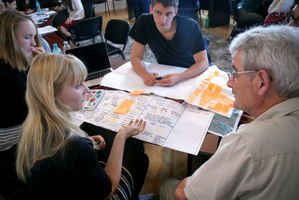 The groups then went through a design thinking process in order to explore all possible aspects of the users’ needs. Various directions of thinking were mapped, analysed and structured. This intensive day finished with the generation of a first prototype of the potential product/service the social enterprise would offer. The following day focused on field testing. The groups went back into the neighborhoods and asked local people if they would be interested in their product. This interaction was not only fruitful for improving and sharpening the ideas but also brought further insights into the local conditions and value schemes. The remaining days were used to transform the ideas into a business plan with all relevant elements, such as finance, operations and marketing plans. 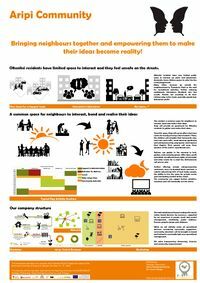 In parallel, the groups received timely inputs from local social entrepreneurs. 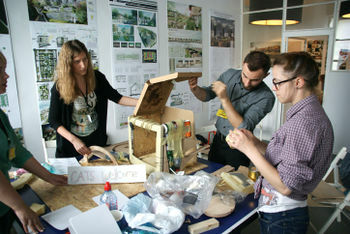 All ideas were demonstrated on the final day both with posters and short presentations to a selected local audience. This audience was composed of local social entrepreneurs, business angels (Transylvania Bank) and NGOs. This way, the participants could receive valuable feedback from a knowledgeable group. 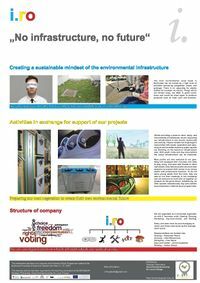 The workshop finished with a poster session during which further discussions on the business ideas took place. In addition to this Intensive Study Programme, all participants attended an online course on theoretical and methodical aspects of Social Entrepreneurship. This course started at end of March and will continue until end of June. 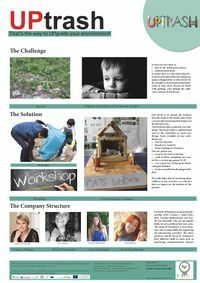 All disciplines involved had to work together on a business plan in order to prove the feasibility of their idea. Business ideas were demonstrated to a local audience during the final presentation. This page was last modified on 21 April 2019, at 10:04.